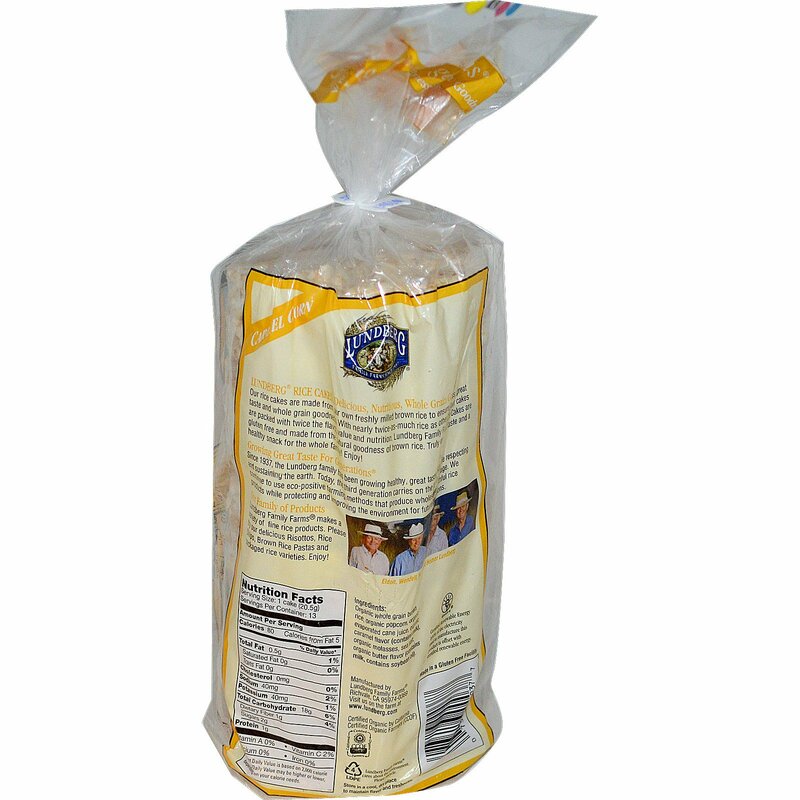 Our rice cakes are made with our own freshly milled brown rice to ensure freshness, great taste and whole grain goodness. With nearly twice-as-much rice as other brands, our cakes are packed with twice the flavor, value and nutrition. 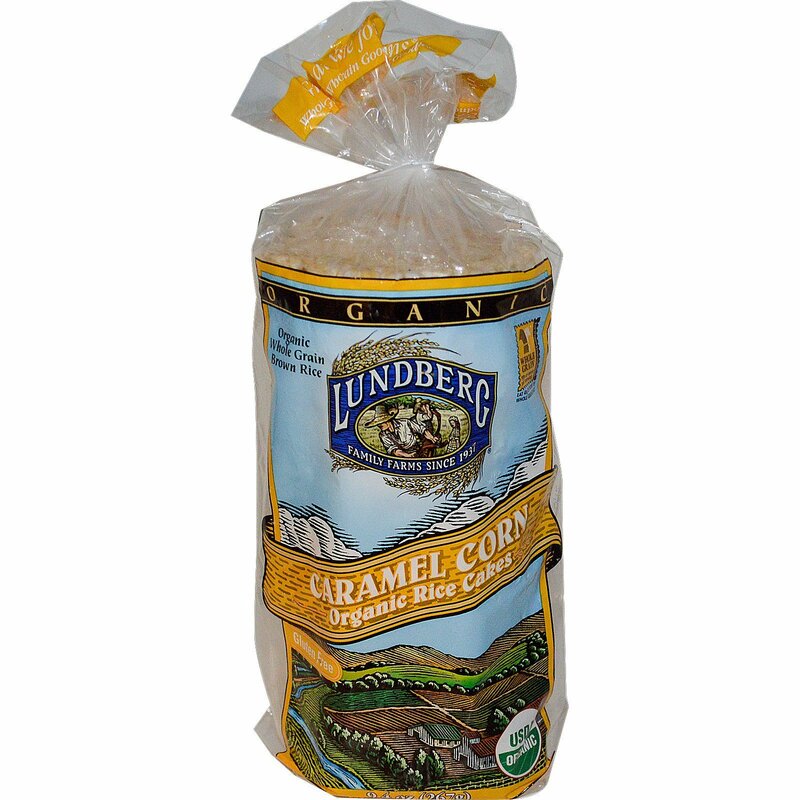 Lundberg Family Farms Rice Cakes are gluten free and made from the natural goodness of brown rice. Truly exceptional taste and a healthy snack for the whole family! Enjoy! Since 1937, the Lundberg family has been growing healthy, great tasting rice while respecting and sustaining the earth. Today, the third generation carries on the family heritage. We continue to use eco-positive farming methods that produce wholesome, healthful rice products while protecting and improving the environment for future generations. Organic whole grain brown rice, organic popcorn, organic evaporated cane juice, organic caramel flavor (contains milk), organic molasses, sea salt, organic butter flavor (contains milk, contains soybean oil). * Percent Daily Value is based on 2,000 calorie diet. Your Daily Value may be higher or lower, depending on your calorie needs.